This homily was given on May 30, 2015 at St. William Church in Foxboro, WI. 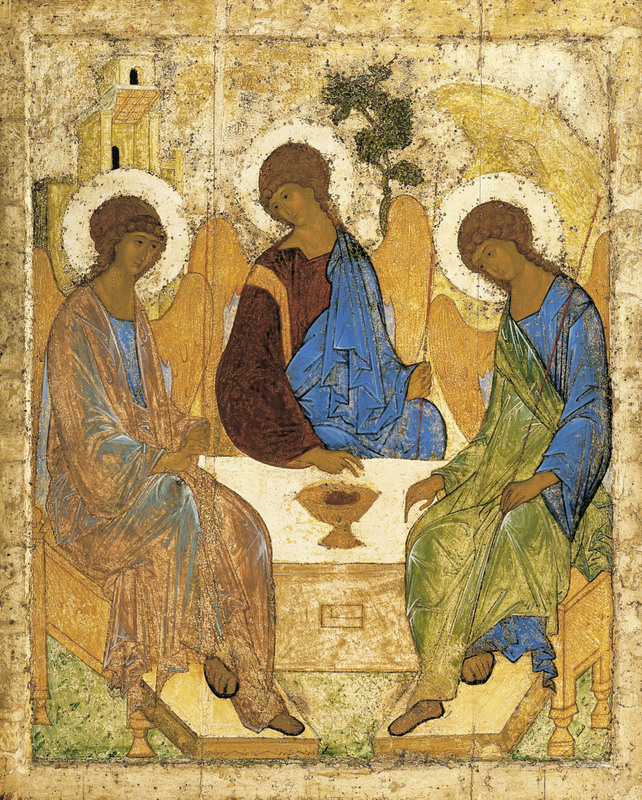 The mystery of the Holy Trinity – there is one God, revealed in three Persons – communicates that God comes to us in communion. Indivisibly united, the Trinity teaches us that communion – being united together – is a key element to the practical experience of our lives. Communion is crucial for all of us: family, friendship, co-workers, neighbors, classmates – even strangers – are all part of the fabric of our lives. Indeed, we can evaluate ourselves in a very real way by taking measure of our communion with one another. Where our communion is vibrant, we grow; where it is wounded, we heal; and where it is broken, we come to the altar to receive Jesus Christ in Holy Communion to renew the communion of our hearts. May this communion within the Trinity transform and unite us with almighty God and one another. 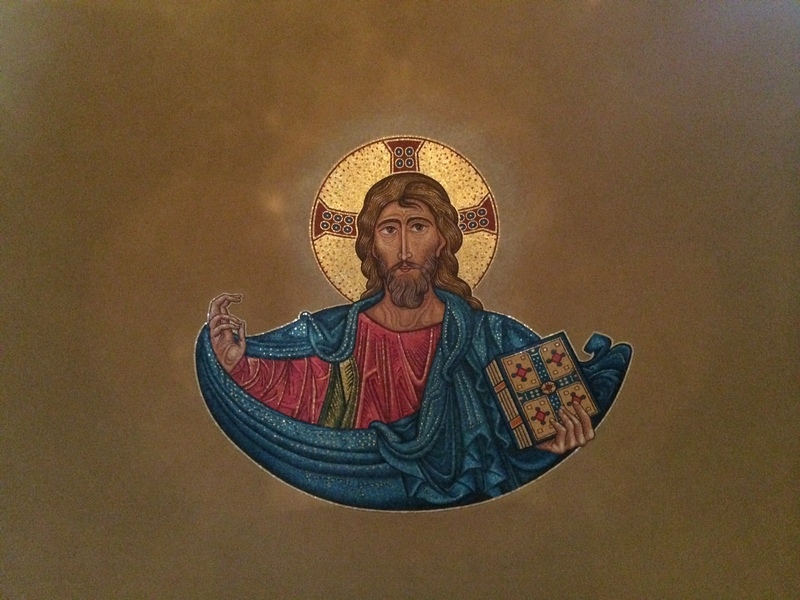 This homily was given at St. William Church in Foxboro, WI on May 23, 2015. A simple diagnostic tool: where do I see unity in my life? Where unity is present, we can build and grow stronger with the Spirit’s power. Where it is absent, we have the opportunity to call upon the Spirit for healing and transformation. Either way, come Holy Spirit! 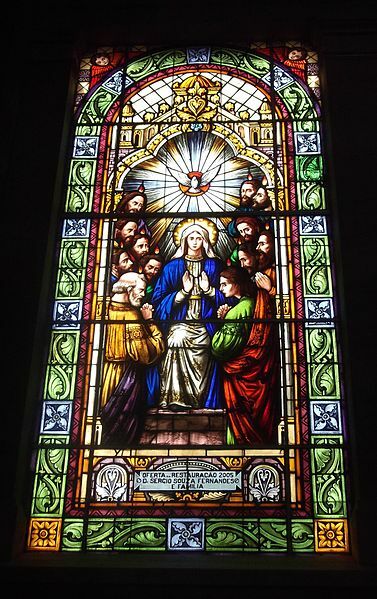 Pentecost, Eugenio Hansen, OFS; 25 April 2012, stained glass, 2590 x 4115 pixels, Pelotas Cathedral, Brazil. This homily was given on May 16, 2015 at St. William Church in Foxboro, WI. As the Apostles embraced their transitions the Holy Spirit empowered them to change the world. May we continue to open our hearts to the Spirit and face the changes that come before us. Study: Reflect on a moment of profound change in your life. What lessons did you learn? Pray: Ask the Lord for guidance to proclaim the Good News in your current situation. Serve: Do you know someone who is experiencing great change right now? How can you help them? About this time of year students experience transition. The academic year is coming to a close, classes are wrapping up, papers are written and exams taken. It is a time where one can clearly see change: teachers and classmates conclude their studies and look to new opportunities and experiences in the summer. The Feast of the Ascension is one such moment of profound change in the early Church. Rejoicing with one another over the Resurrection, the apostles were flying high – the Lord is risen! In this moment of enthusiasm and hope, the Lord (truly in the role of Teacher) shares with them a new lesson – it’s time to change and grow. Now they are the ones who must teach; they are the ones chosen to proclaim the Good News; through their efforts the Holy Spirit will empower them to heal and drive out demons. Simply put, the Ascension of Jesus clears the way for the disciples to apply the Lord’s teaching in their own lives as they continue Christ’s mission in the world. The Good News takes many forms, and in our moments of transition we are given new opportunities to act. May the Ascension of our Lord inspire us to look for change in our own lives and seek ways where we can live joyful lives as disciples of Jesus Christ! 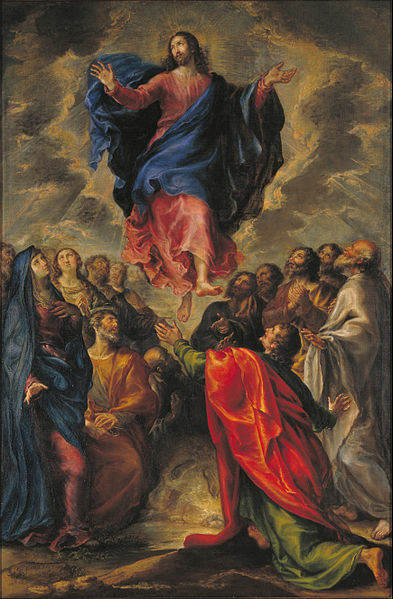 Ascension, Francisco Camilo; 1651, oil on canvas, 81.5 x 53.94 inches, Museu Nacional d’Art de Catalunya, Barcelonia, Spain. This homily was given at the Cathedral of Christ the King on May 10, 2015.